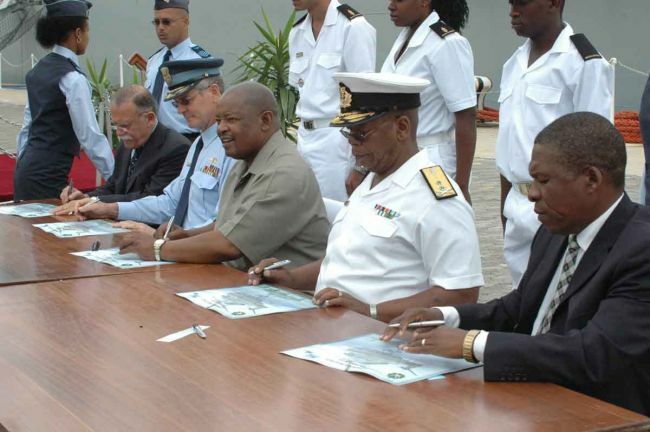 The following are the opening remarks of the Minister of Defence, Mosiuoa Lekota at the ceremonial handover of four Super Lynx 300 helicopters to the SA Air Force and SA Navy in Simon’s Town harbour on 14 February 2008. The commissioning of the four Super Lynx Helicopters today sees the realisation of one of the milestones in a long process of re-equipping and revitalising the South African National Defence Force. Yet, despite their formidable naval capabilities, these ships have thus been deployed in their full range of missions, being significantly constrained by the absence of a dedicated, ship-borne helicopter. The commissioning of the Super Lynx helicopters today thus represents a notable boost in our Maritime and Air Defence Capabilities. The frigate, together with its helicopter, comprises a potent organic partnership. The helicopter, with its technologically advanced onboard systems and its specialised design, extends the ship’s natural surveillance horizon several times and plays a crucial role in communications on deployment. In integrating ship and helicopter, the tactical awareness of the frigates is elevated to an unprecedented level. The helicopter provides a degree of flexibility and mobility hitherto unmatched by other means, extending the commander’s situational awareness in order to gain tactical advantage. The commissioning of the Super Lynx sees the realisation of a further milestone in the transformation of the Department. An early objective of such transformation was the inculcation of true jointness between our Services. Thus we envisioned a Department where the whole would be far more than the sum of its parts, and where the diverse specialisations of our Services would be integrated to comprise a powerful and coherent joint capability. The uniqueness of today’s event is derived from the visible demonstration of our success in creating such envisaged jointness. We are commissioning a fleet of helicopters for which our Air Force will be accountable. These helicopters, while being flown by the young men and women of our Air Force, will be totally and indivisibly integrated with the combat ships of our Navy, being deployed as an organic part of the Maritime Defence Capability. Of course, without motivated strategic leadership, and skilled teams of men and women, the very best of technology is rendered powerless. In this regard, the South African National Defence Force provides some of the finest technical training in the country, and such training, together with the discipline and commitment inherent to a military organisation, facilitates our vigorous participation in Government initiatives such as AsgiSA and JipSA. Such training also ensures that the execution of our tasked missions is undertaken with the highest level of professionalism, ensuring a credible force, able to make a meaningful contribution to supporting the intent of Government. In supporting such Government intent, this capability will be of crucial importance, both in our own waters, and in furthering our African Agenda in the region and on the Continent. We envisage that our frigate capability, notably extended by the commissioning and integration of the Super Lynx Helicopters, will be instrumental in (SADC) and more broadly on the Continent. Our collective marine resources have repeatedly come under threat of unscrupulous looting. It is critical that a collective effort be made to counter this and other threats to our common security in the region. To this end, our frigates and their integrated helicopter capability, will be instrumental in carrying our flag, as a symbol of peace and hope, into the region in the demonstration of our collective resolve to protect our peoples and our resources. It is thus our intention to deploy our ships and associated helicopters in roles such as search and rescue, protection of maritime resources, rendering of humanitarian aid and disaster relief, and supporting the consolidation of foreign policy objectives. In so doing, their role in supporting our pledge to expand the quality of life of all on our Continent will be considerable. 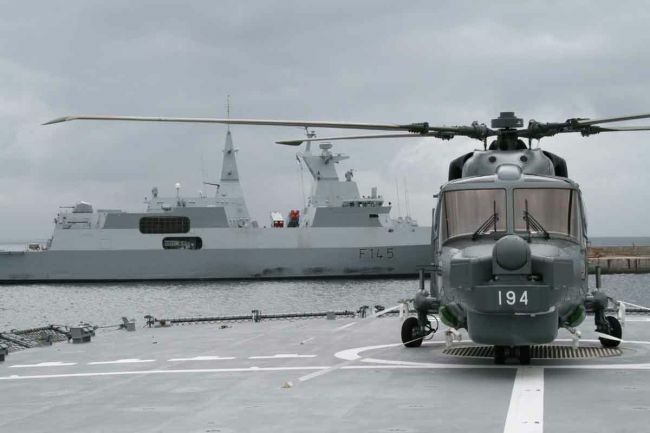 In conclusion, the commissioning of the Super Lynx Helicopters, and their integration into the Frigate Higher Order User System, serves as an affirmation of our commitment to ensure a credible and collective Maritime Defence Capability to the people of South Africa, the region and the Continent.